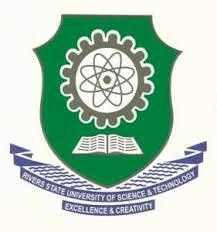 Rivers State University of Science and Technology (RSUST) UTME Admission List of Candidates Offered Admission for 2018/2019 Academic Session, Steps to Check RSU Admission List Online. This is to inform all candidates who participated in the Rivers State University of Science and Technology (RSUST) 2018/2019 Post UTME Screening Exercise that the names of candidates offered provisional admission has been released and uploaded online. Kindly log on to RSU Admission status checking portal via http://ecampus.rsu.edu.ng/index.php. All admitted Students are to proceed with the payment of acceptance fee and registration guidelines.